Remove and discard of the white pith completely. (we also don't need the rest of the orange). Dice the peel into small squares or cut them into strips. 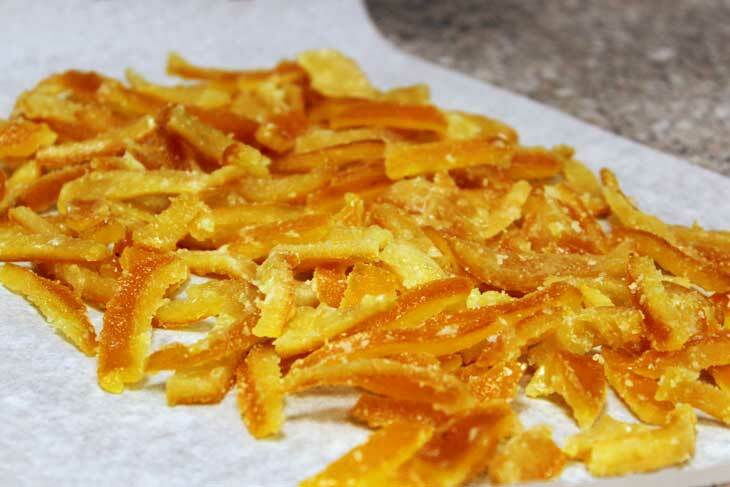 Boil the orange peels in water for 5 mins. Remove the rind and leave to drain. Add the rind back in the syrup. Knead all biscuit mixture ingredients together. Refrigerate the balls until you have melted the chocolate. Roll the balls in the chocolate and shake to get the extra chocolate off. 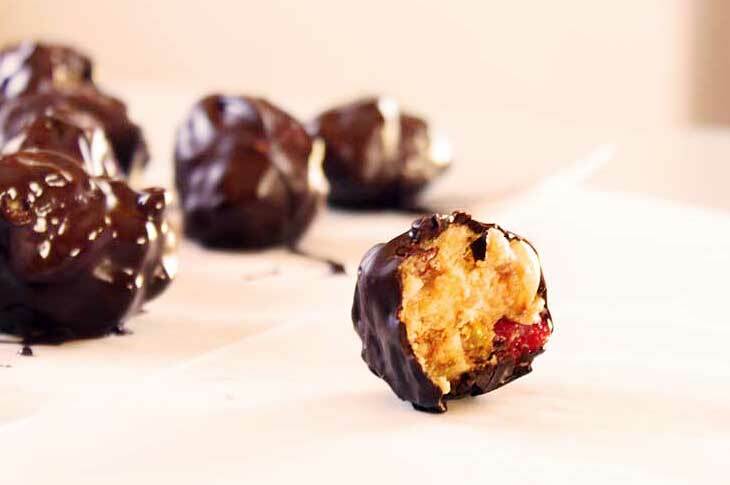 Place the chocolate balls on parchment paper and leave to set.